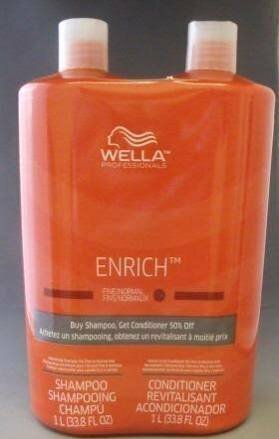 Wella Professionals Enrich Volumizing Shampoo for Fine to Normal Hair is a weightless cleanser especially designed for fine, dry hair types. This hydrating shampoo leaves hair full of volume and vitality, whilst extracts of silk and shea butter nourish and protect. Hair is left glossy, smooth and healthy.